Kiwi to replace Cody Cooper on factory Honda team this Sunday. New Zealand’s Brad Groombridge will fill in for Cody Cooper and contest the MX1 class for the Penrite Oil Honda Racing team at this weekends’ second round of the Monster Energy MX Nationals at Appin. Cooper underwent an operation late last week to repair damage to his cheekbone and eye socket, sustained in an incident at the opening round of the MX Nationals at Broadford. The New Zealand Motocross Champion is expected to be sidelined for up to six weeks. Groombridge finished third in the New Zealand MX1 Championship, just a single point behind Billy Mackenzie. The 23-year-old recorded three second-place overalls throughout the four-round series and recorded his first MX1 moto win in the final race of the season. Groomridge has been testing with Penrite Oil Honda Racing team mentor Ben Townley this week and said he is excited to be given the opportunity to join the factory team. Penrite Oil Honda Racing team manager Mike Landman said Groombridge was the obvious choice to replace Cooper. “It’s hard to believe that five years running we have had injuries mar our season,” Landman said. “We were well prepared for Broadford and can’t believe Cody’s misfortune. “Even though it is hard to stomach, we need to be productive and positive. We have great bikes and a great team and we work hard Monday to Friday to race on the weekends. “Our sponsors are understanding and supportive and we will continue to work forward and present them in a professional manner. 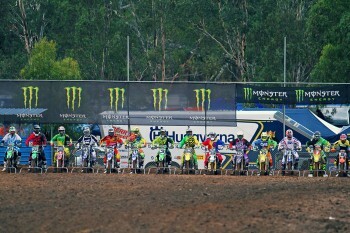 Australian Motocross heats up with round two of 10 on Sunday. 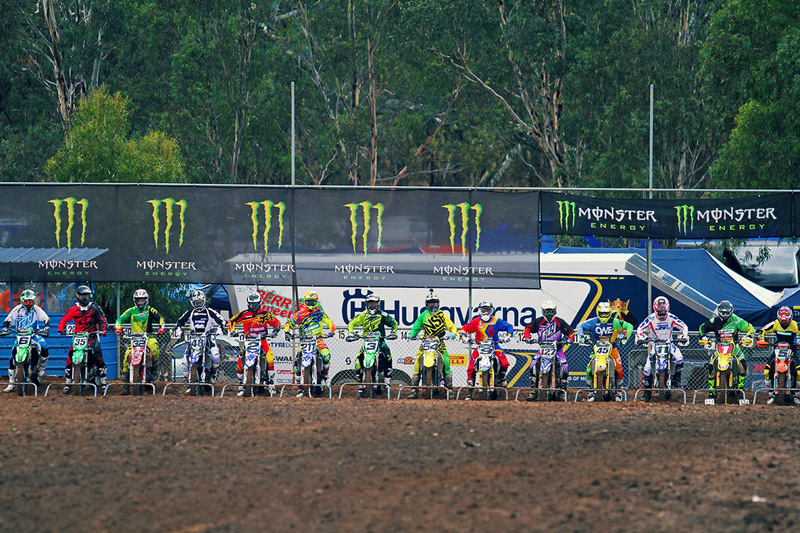 Round two of the 2014 Monster Energy MX Nationals is drawing near, with Appin in New South Wales set to host the next round of Australia’s premier motorcycle racing competition on Sunday. The second round will roar into town on Sunday, 13 April, and if round one was anything to go by we are set for an absolute feast of action this weekend. As well as the Monster Energy MX1class, the Motul MX2 class and the Pirelli MXD class, the Appin event will feature the first round of the Yamaha 125cc Rookies 13-15 years class as a support category. Speaking ahead of the event, Williams Event Management (WEM) director Kevin Williams said that the second round will help to prove or dismiss theories to come out of the season opener. “I am looking forward to it immensely,” Williams said. “The new talent that we saw on show at round one added a whole new level of interest to this series. Williams said that the venue is one of the best from a spectator’s point of view, and encouraged fans to come down and enjoy the benefits the Appin facility offers. “Appin is one of the best venues of the series for watching the racing action,” he continued. “It is well located and spectators can make their way around all 360 degrees of the circuit. When talking about the racing, Williams noted that the change to the traditional two-moto format for the second round meant results in each race will be crucial to the overall championship. “As we always say, the championship can’t be won at the first round – but from here in, every round is important,” Williams explained. “Consistency is the key with only two motos and only 70 points up for grabs so results here are critical.